Summer vacation is starting to wrap up for school students. It can be a sad time for some, while others may have other reasons to be relieved that the summer is almost over. It seems as though the month of August is a signal that fall and back to work is on it’s way. Here are just a few of the new free mixtapes we have to offer. We hope you will enjoy the last bit of your vacation. T.Y. returns to the game with volume 2 of the official series titled “Son Of A Gangsta”. 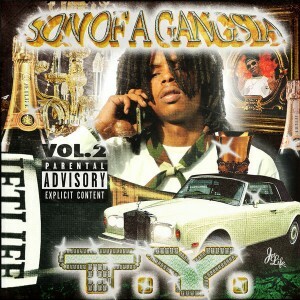 If you are unfamiliar with T.Y., he is the son of former Hot Boy and Cash Money recording artist B.G. He is also signed to the distribution label Jet Life Recordings. This release has the sound and flow of the old Cash Money from the 90’s and early 2000’s. If you are a fan of the throwback sound, then you will want to pick this one up. Guest appearances on this drop by Yung Juve, Roddy, Curren$y, Soulja Slim, B.G., Corner Boy P, Paul Wall, and Lil Soulja Slim. Producers include Mannie Fresh, Shop With Ken, Woosky, Daniel Mcflyy, Mr. Rogers, and Vintage Rippah. 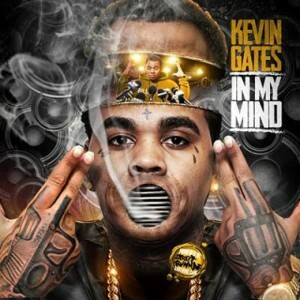 The next in new release mixtapes is by one of the newest favorites to come out of the south, Kevin Gates. He hails from New Orleans, Louisiana and lays down lyrics with one of the hardest flows to come from the dirty south in a while. The release titled “In My Mind” plays you 18-tracks by him with features coming from Juicy J, Future, Sage The Gemini, Starlito, Young Dolph, 2 Chainz, FDA Music, K. Camp, Maino, OG Boobie Black, Xander and Rex, Cee Tha Ruler, and other street emcees. Turn your radios up or plug in your headphones and get ready for some hard hitting funk. 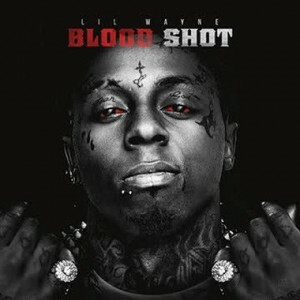 The final mixtape to be reviewed in this blog post comes from one of the most popular artists in the south, Lil Wayne. Everyone probably knows about the beef between him and Birdman. The situation is still unclear what will happen with Cash Money or what label the Louisiana artist will sign to. The release titled “Blood Shot” gives you 21 of his most recent musical efforts. This drop contains many popular artists including Jeezy, Tyga, Juvenile, French Montana, Rick Ross, August Alsina, Dej Loaf, Plies, Monica, Big $ean, Chris Brown, Future, and much more. Be sure to stop by our web site daily to check out the latest free music available to stream and download. We are constantly adding the hottest tracks being played on the radio and in the streets. Always remember that we are mobile compatible and have one of the best mobile graphic designs out there! We also have premium memberships available for all music fans. You can check out all the benefits of a premium account here. Author adminPosted on August 19, 2015 September 27, 2016 Categories BlogTags b.g., cash money, download free music, download songs, free music, kevin gates, lil wayne, t.y.